We have helped a lot of people make career transitions from wherever they were doing into IT. Every now and then we hear a lot of people complain that they don’t have the experience, and without experience they can’t get an IT job. Well it’s kind of a paradox really, because how did anyone get a career in IT here, if everyone needs experience to start? There are a couple of ways if you think about it. Either they just got a break into IT and then they built their experience with it, or they did something about it. Now we can’t really presume that somebody just passed an exam like many thousands for other people have, and the employers are going to say; yeah sure we will take you on. It is nice if it happens and it is not unheard of. I have seen this happen as I have done training sessions for a few companies who had hired new staff and were training them up. And one of the companies that I conducted training sessions for, several of the recruits did not have any previous IT background. One of them was a photographer, and someone else had been working in a gardening business. And they hired them onto their network support team, and they trained them up. So this does happen, but for the most part unless you can find a company that is willing to do that you will have to do something about this experience gap. Let us see what you can do in order to become more appealing to companies who will then be willing to hire you. So as far as we are concerned, experience is any time spent on live equipment, for example if you’re training to become a pilot, there are a few things you need to do. Obviously there are the lectures you need to go through and then you have to do the practical part. So if you are training to fly a large aircraft you’ll spend time on simulators. From simulators then you’ll go onto small aircraft, and then progress to the bigger planes. So basically any time you have spent cabling up, configuring and troubleshooting live equipment counts as experience. This is the same with configuring routing protocols or switching off VLAN’s; as you would use the same commands on the IOS that you would in a live environment. Obviously if are on a live network of a company, you have to be more careful about outages and commands and breaking stuff. But it’s the same stuff, so really anytime spent on live equipment is good. Like I said this is why I don’t recommend people spend too much time on simulators; you are ok if you are on a train with your laptop or in a coffee shop somewhere. But we really do recommend having your own rack and equipment, as once you progress past the foundations level, you do need to have access to actual equipment. Any time in the classroom if you’ve configured live equipment is still very good and may help you with getting more familiar with the technology and how it works. So anytime if you had with any classroom training on live equipment still counts. Also anytime you have had with PC troubleshooting or network troubleshooting for yourself or for a friend or family also counts as experience. For example, any friends or contacts who are in their own businesses if you’ve got to do any installation troubleshooting or have given any advice to them all counts. It is something you can put on your resume quite legitimately. If your actual goal is to become a network engineer doing routing, switching, and VLANs, that sort of things, then see what are the gaps in your level of skill and knowledge you need to improve on. And then next you start working on them now. If you are quite weak on your routing, switching and access lists, there is plenty of material available online and you can even get hold of books as well, and get it lab-ed up and practice on the items you need to get better at. This way you will be turning you weak points into strong points. Too late when you get that call for the technical interview, and you still need to work on stuff. So the biggest key objective you take away from here is that some people expect that when they pass an exam, companies are going to take them in and will provide them with training from the foundation to intermediate and advanced qualifications. Great if you can find a company that will do that. Even merrier if they can take you on with no experience. Truly you can’t really rely on that for your future, and it’s a bit of cliché. But I am not saying that it will not happen, only that it is very rare. However, do you really want to be sitting there waiting among hundreds of other candidates waiting for their break too. You do need to make your own way forward and do something about it. So it will boil down to how you are better than the competition. You need to take some action to plug the gap in your experience. And first thing I recommend you is setting yourself up with somebody who knows what they’re talking about. So if you’ve passed your CCNA exam for Cisco, you really should be able to write access lists, configure VLANs, and do some basic routing and basic switching and do some basic troubleshooting and lock down the router and this is the just kind of the bread-and-butter stuff that many companies and people want anyway. For example, most companies don’t back up their router configurations. Many companies will buy a router, get it installed, but have got no one to maintain it. You can look into gaining more experience by providing your services to these kind of companies and it could even be done as a freelance work. I would like you to look at ways where you could just get more experience and hands-on work; it doesn’t have to be any high-level consulting or anything too complicated. When you start in IT you may want to do it quite reasonably priced. You start offering your services for just a few dollars an hour, just so that you could start getting work. I recommend you don’t go offering freebies. If you’ve spent several months or years getting qualified, paid for exams and bought all your study materials, why would are you going to offer yourself to work for free. There are a couple of exceptions to that we should come to in a bit but if you’re doing this commercially or spending any amount of time doing it for other people, you really should be covering your costs at the very least. Look to your social network on the Internet with people you know on Twitter Facebook; friends, family, colleagues. People you know and look at the people who they know. Let them know that you are looking to expand your experience and offer some services, put down your qualifications with a note and start asking people. And people like to help people it’s in their nature, so you can expect some leads to come from there some places where you could go and gain some more hands-on experience for your resume. The other thing is don’t just wait for that to happen, so get in-touch with some local companies, or local Cisco academies and other training companies telling them that you’re looking for some experience. You can say can I help with your students especially if you’ve got to the point where you have passed the exam and then are able to help students with their basic problems is just perfect stuff to get on to your resume. In this way you can very quickly chalk up hours, days and weeks’ worth of experience by just helping people and companies. Set some goals as to how much time in experience you want. 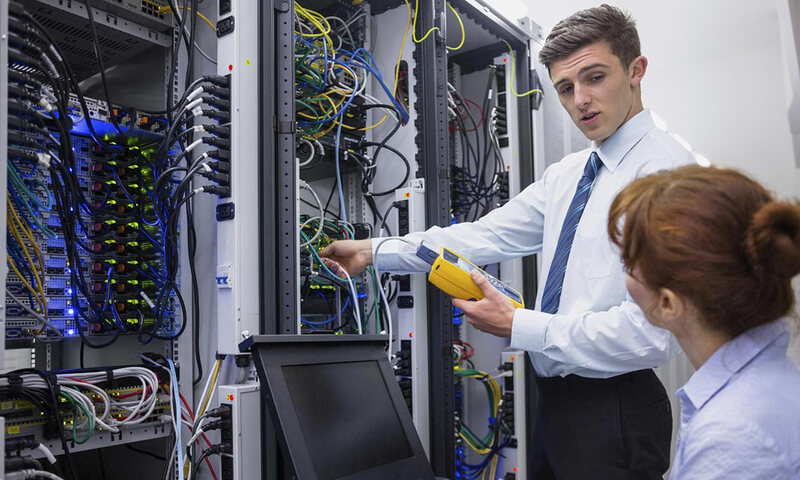 For example, you could set a target of 100 hours’ worth of experience in configuring troubleshooting and installing Cisco routers and switches. Also look at how many different places you want this experience to be from; two or three different companies, training companies or academies or even small businesses that you could have helped. Once you have got some experience do a skills summary on your resume, such as things mentioned earlier; access list, password recovery, backing up configs and basic routing/switching. So if you have got the certification, and have done the labs and gained some hands on experience you should be up to date. The minute you establish yourself as somebody who’s knowledgeable on a certain subject you become the authority, it is just the way people’s minds work. You can use your newly learned skills which are fresh to you and write up an mini book or a work book. It doesn’t have to be anything big you could put some top troubleshooting commands, such as the show commands you have recently used whilst working on the various equipment or the labs for the exam. If you will be going for interviews it is a really good idea for you to have your little book with you. Not only will it help you remember the steps but like I said you could show it in a presentation and that’s really going to make you stand out from the crowd and certainly will get you into the shortlist. You can even write short articles or blogs and they are really easy to write and publish on website with very little effort. These can again make you stand-out from the crowd as it would show that you are serious about your work.